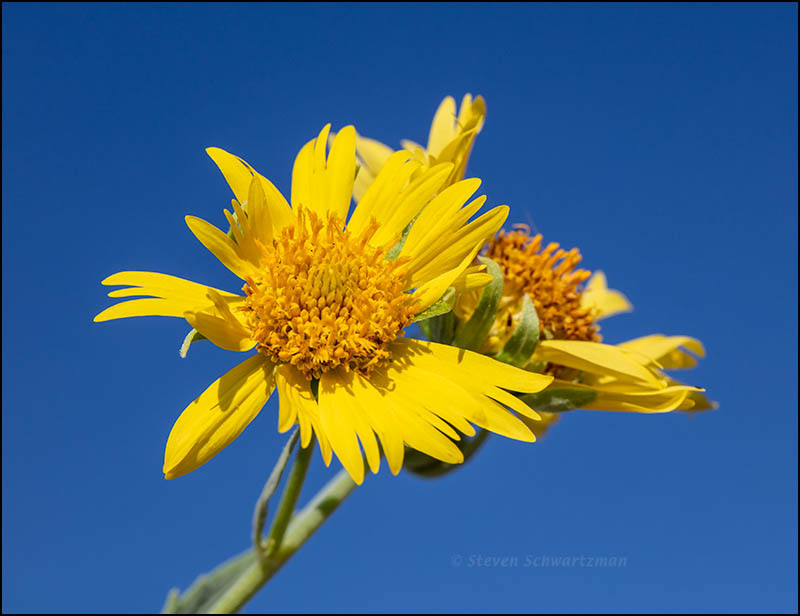 On September 2nd, at the same property along Lost Horizon Dr. in my neighborhood where I discovered a silverleaf nightshade flower that spoke in four-part harmony rather than five-, I found several bunches of Verbesina encelioides flowers, known as cowpen daisies. Most of you won’t be familiar with this species, so I’ve also included a view of two flower heads from behind. The lot where I photographed these cowpen daisies is the only place I’ve been able to count on finding the species. Because parts of the property are getting developed, I don’t know how much longer the remaining wildflowers there will survive. It seems to be a great year for the color yellow, this is a bright, nice flower. You’ve mentioned a few times recently, the area near you is developing, and losing some native habitats, I guess that’s one bright side for central/western NY, still slowly losing population, and some farmland is reverting to woods. . It seems there’s a bright side not only to wildflowers but also to economic depression. Upstate New York as a whole has been in economic decline for decades. Not till you mentioned it just now did I think about farmland having a chance to revert to nature. As for yellow wildflowers, they’re always abundant here in central Texas. The botanical family with the most species here is the sunflower family, also known as the aster family, daisy family, and composite family. So many species of yellow daisy-type flowers exist that botanists refer to them as DYCs, or darn yellow composites. OK. I give up. Why cowpen? They often do show up in cows’ pens — at least, I’ve seen them there. I don’t have a cow pen for you, so how about some burro pen daisies? I looked through some of my wildflower books and didn’t find an explanation. One explanation is the one you put forth, that these flowers show up in or near cows’ pens (and yes, near burros too). My just-formed hypothesis to explain the name is that because the plant has an unpleasant smell, people were reminded of the smell of a cow pen. That Verbesina is everywhere! Now I have another scientific name that will stick in my mind, along with a new appreciation for this one and its relatives. I especially like the view of the underside. It’s just as pretty as the front, I think. As you’ve seen here over the years, it’s not unusual for me to show flowers from behind. After all, that’s half of reality. That works beautifully in four part harmony, back and front. The common names are so much more engaging than the official. And with all the recent reclassifications of species based on DNA evidence, the common names are now sometimes more stable than the scientific ones. Who’d’ve expected that? It’s a shame that so many of the sites you visit are being developed or in danger of. Thank goodness there are places like Ladybird Johnson and Garden in the Woods to keep these flowers in a place for perpetuity (hopefully, at least through our lifetimes). The past four years have been particularly jarring, with development claiming sites at a faster rate than in all my previous years here. There will always be preserves and greenbelts, but I counted on undeveloped private plots for various species. Just as with animals, there needs to be contiguous spaces for all ecological communities. Little road median pockets of flowers isn’t going to maintain much of anything. Especially when mowers prematurely cut down plants even in those pockets. Beautiful flowers and thanks for the info the hospital where I work has really done well keeping the mowers in check we are surrounded by 22 acres of fields and they try to just keep the edges mowed. Good for them. If only more businesses were such good citizens with respect to nature. These flowers have similarities (especially the underside) with the calendula in my garden. The calendula, although edible, has a pungent smell, and, like the marigold, is supposed to deter unwanted bugs. I looked up Calendula and found the genus is in a different tribe of the sunflower family from Verbesina. I also found this, from Wikipedia: “One of [Calendula’s] nicknames is ‘Mary’s Gold,’ referring to the flowers’ use in early Catholic events in some countries.” Of course Mary’s gold is marigold, so that familiar name used to belong to a different flower. In terms of scent, to me marigolds have never smelled unpleasant. Cowpen daisies do smell unpleasant. I don’t know if that odor deters insects. I want you to know I made a trip out to that leased property today to make sure this was the plant you were asking about… and it IS the flower in question! Woot!! Thanks for solving the mystery! That’s a great confirmation on your part. I’m glad you checked it out. As I recall, that’s a place where cows wander, or at least used to. They did roam there many years ago, and just recently they are again. The plan is for the owner to plant wheat on the upper acres and Bermuda grass on the river bottom acres. This year nothing was planted with the property changing hands so all sorts of wildflowers and burrs have taken over. I was glad to see more wildflowers but those Buffalo burs are a nightmare, not to mention devils claw and musk thistle. Not being a landowner, I don’t have to contend with the downside of buffalo bur and devil’s claw, both of which I’ve been fond of photographing over the last two decades. Buffalo bur is quite common around Austin but devil’s claw I only rarely come across; I wish I saw it more often. That’s the family of wildflowers that has the most representatives here. 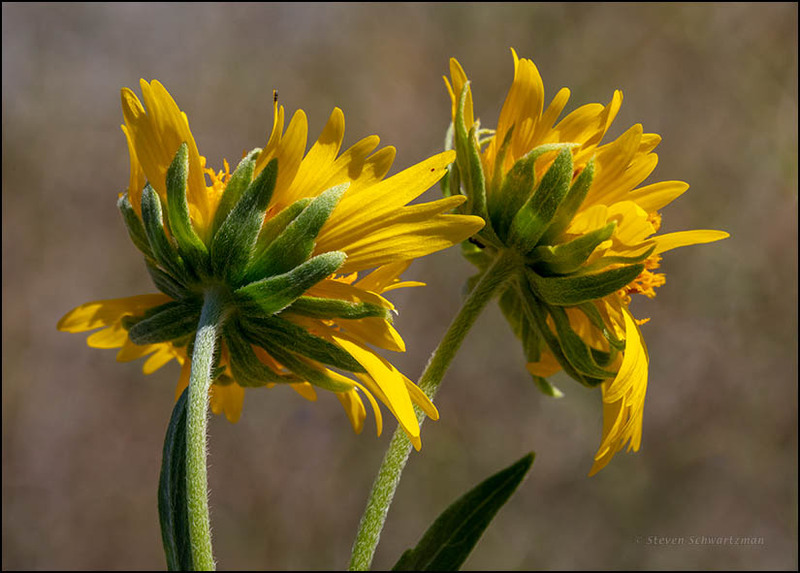 You may have heard me say that we have so many species of wildflowers that look like these that botanists and local native plant people refer to them as DYCs, or darned yellow composites.